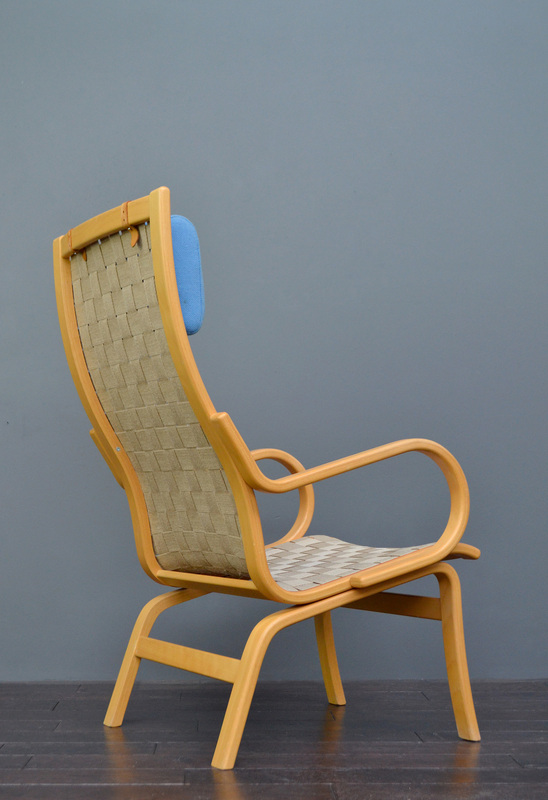 A vintage sculptured Armchair with matching stool. 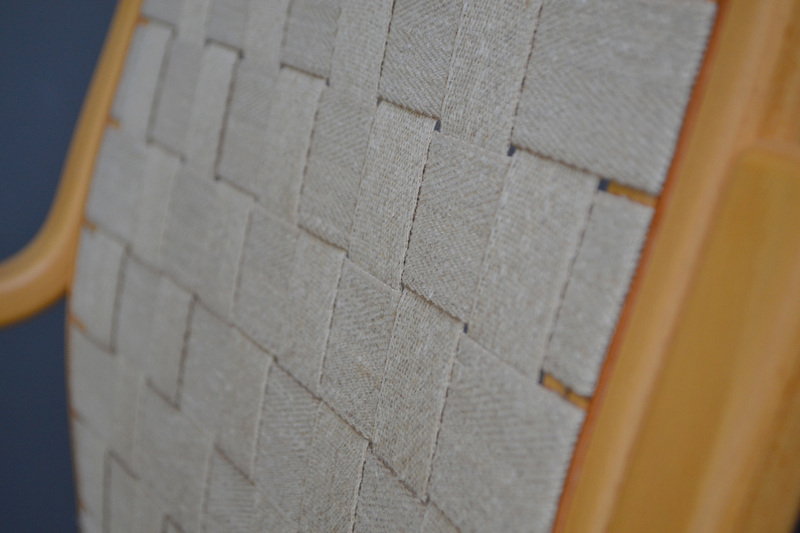 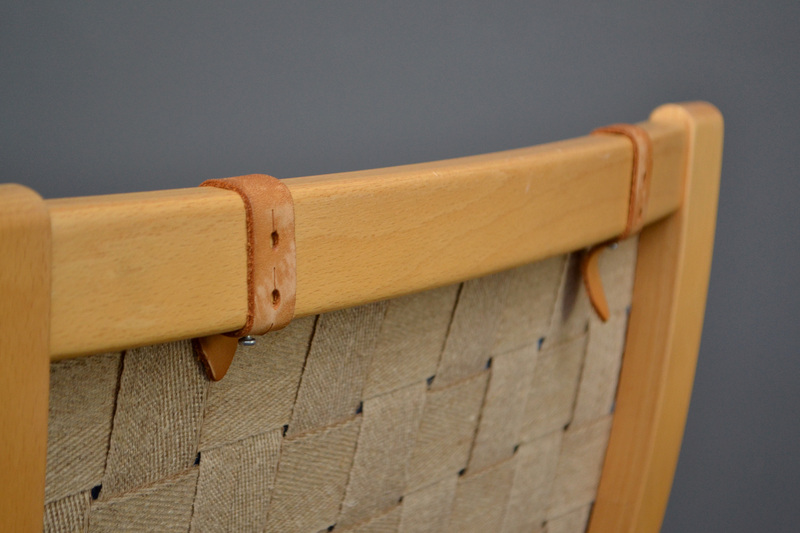 Lovely Beech bentwood frame with jute straps and leather details/edging. 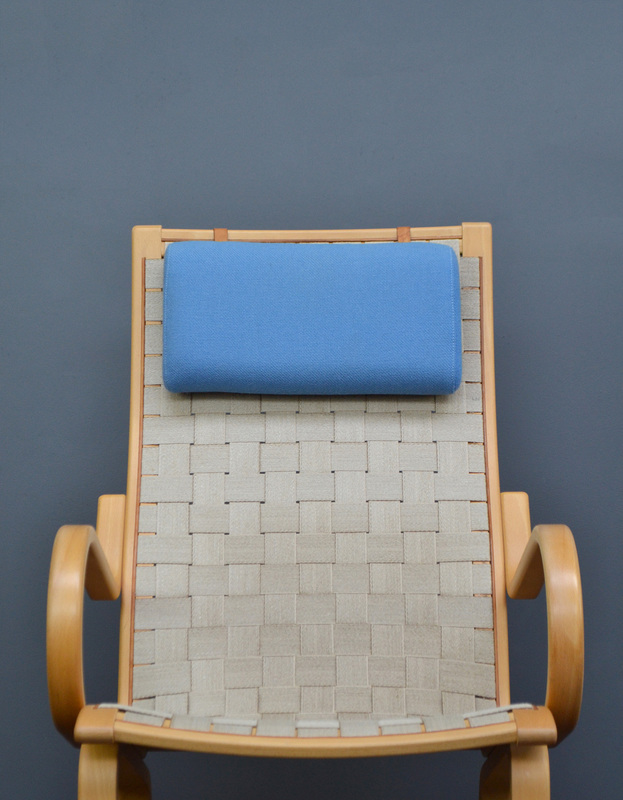 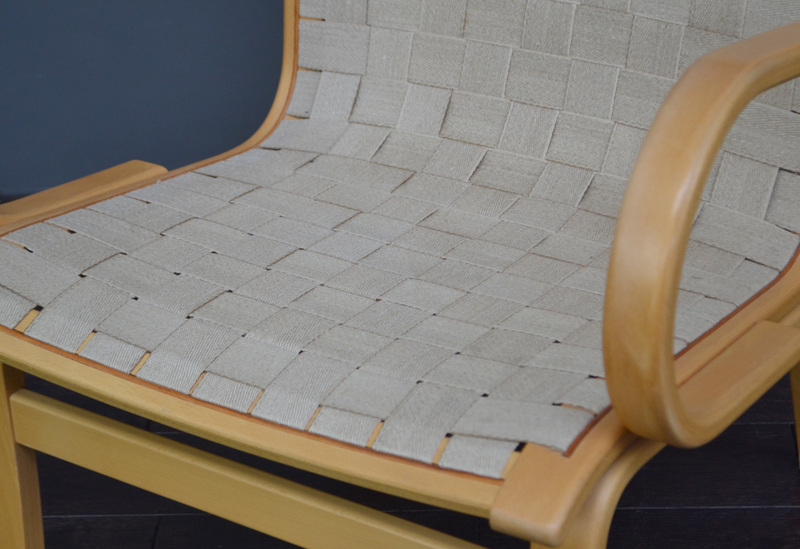 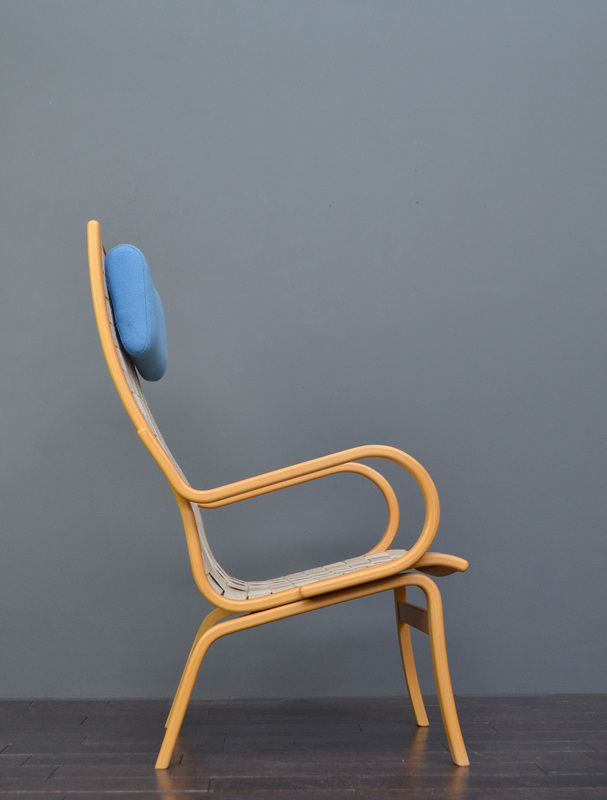 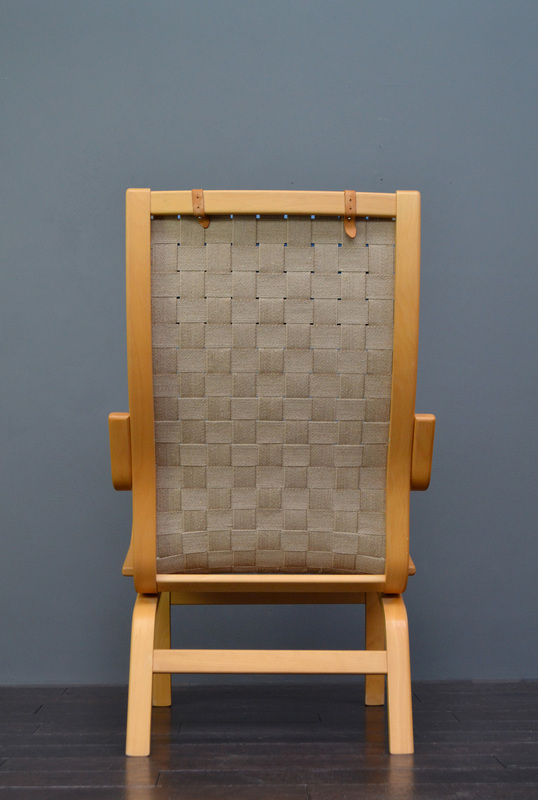 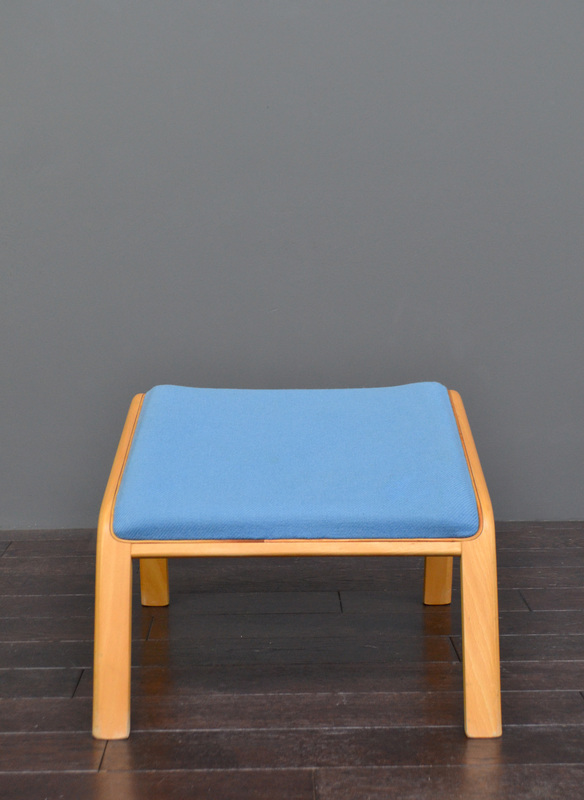 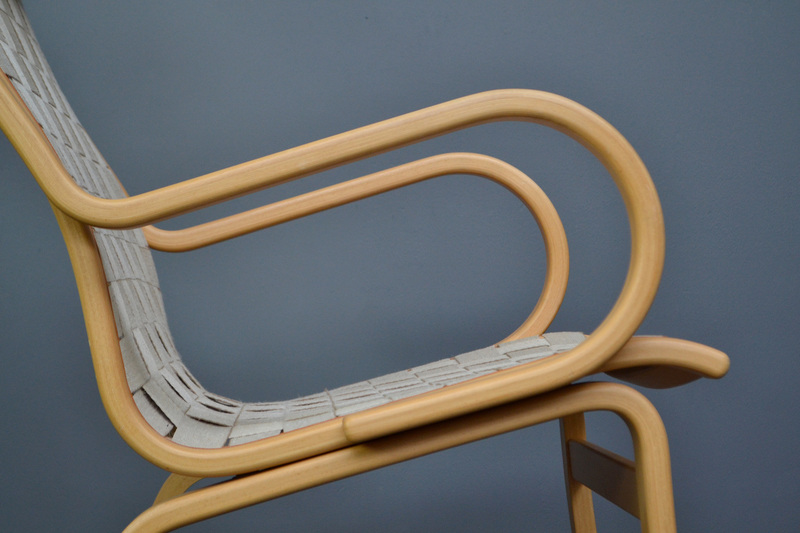 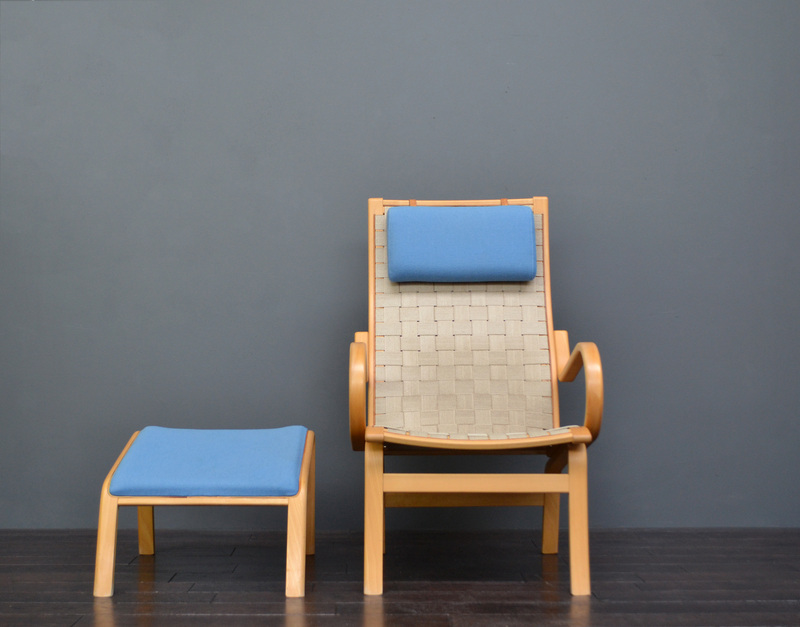 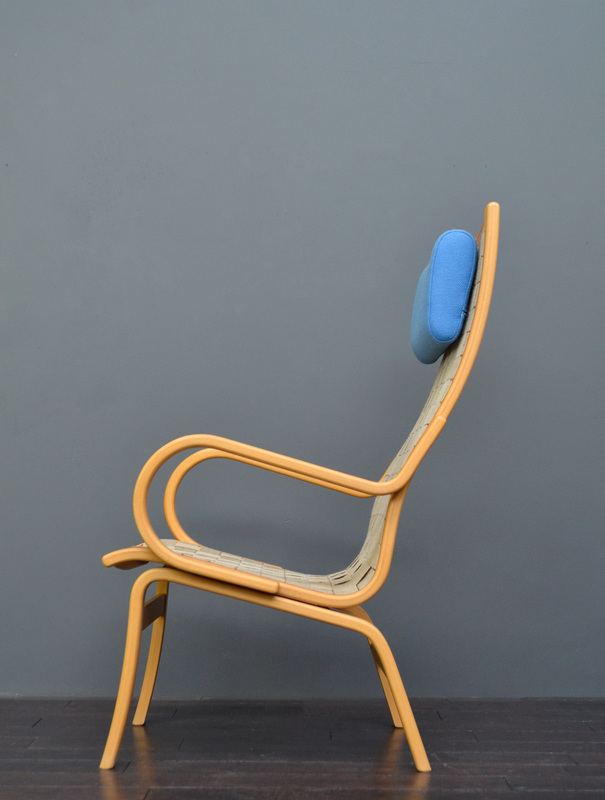 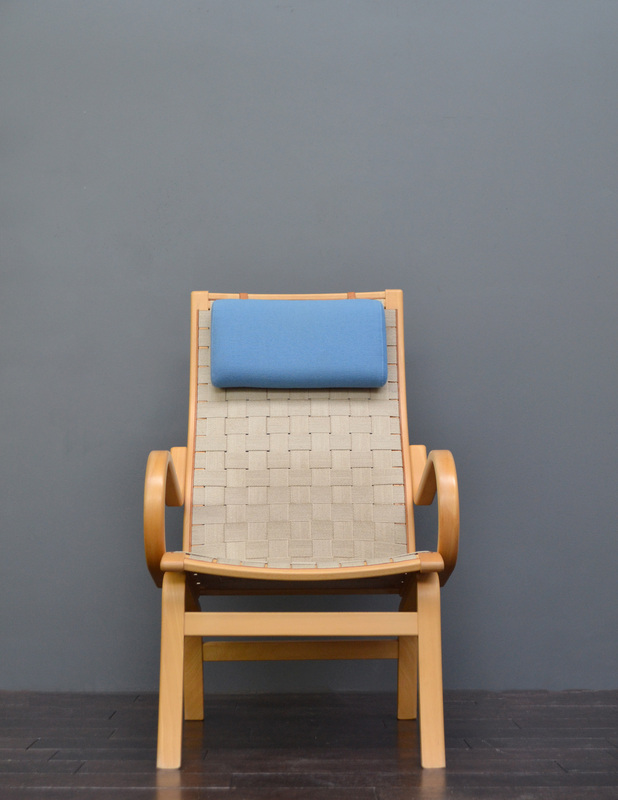 Similar design to the popular Swedish Eva Lounge Chair by Bruno Mathsson for Karl Mathsson. 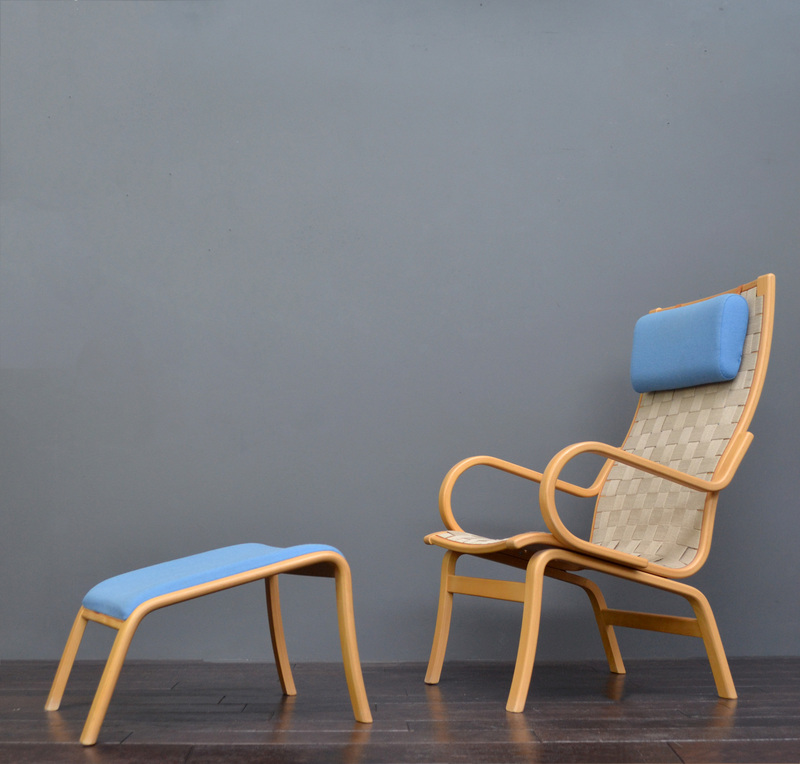 Scandinavian, circa 1960's. 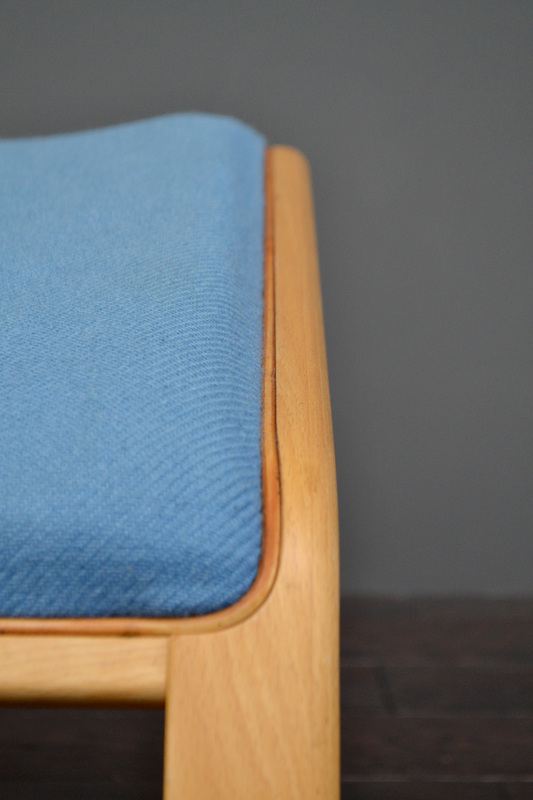 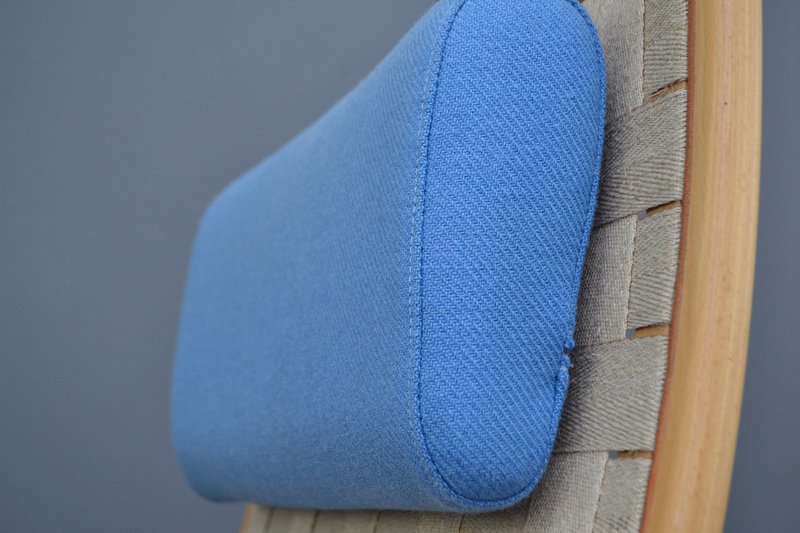 Please note at some point the upholstery to the head rest and matching stool had been updated to a lovely blue woolen fabric.